Gadacz, René R.. "Raven Symbolism". The Canadian Encyclopedia, 18 December 2017, Historica Canada. https://www.thecanadianencyclopedia.ca/en/article/raven-symbolism. Accessed 21 April 2019. 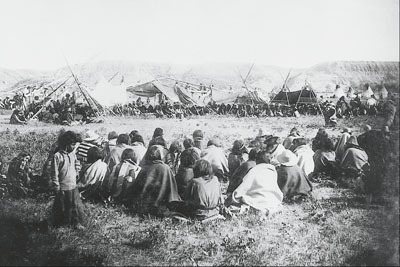 The Indigenous people of the Northwest Coast had numerous origin myths which explained, for example, how daylight began or why summer and winter alternate. The principal character in many of these myths is a powerful trickster, Raven, who is known to different First Nations under various names. Among the Northwest Coast First Nations the Raven is symbolic as a trickster and initiates the first salmon run of the season. 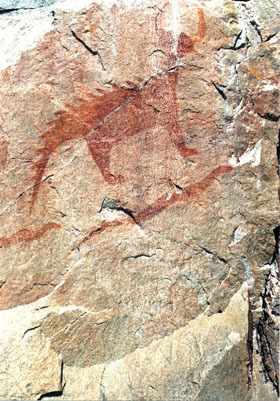 The Indigenous people of the Northwest Coast had numerous origin myths which explained, for example, how daylight began or why summer and winter alternate. The principal character in many of these myths is a powerful trickster, Raven, who is known to different First Nations under various names. On the northern part of the coast, Raven was the most popular crest figure. In the south he was valued as a guardian spirit. Possessors of this spirit are fine hunters who enjoy special ease in killing game. Raven combined the characteristics of good and evil, and for his mischief he was turned black forever. 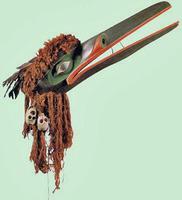 The Haida, Tlingit and Tsimshian had moieties they called Raven. The Raven This site focuses on the symbolism of the Raven in Northwest Coast Aboriginal culture. 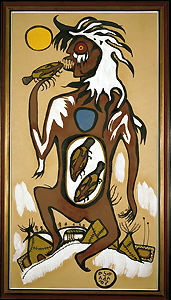 Scroll down the page to see depictions of ravens in Aboriginal works of art. From the Spirit of the West Coast Native American Art Gallery.